It took nearly the entire season, but Santa Cruz had its first call-up of 2018-19 season when the Atlanta Hawks signed Deyonta Davis to a 10-day contract Tuesday morning. It was well-earned for the former Memphis Grizzly, who was averaging 15.6 points and 10.0 rebounds per game since February. He improved a ton as the season progressed, staying out of foul trouble more frequently and developing a consistent mid-range jumper while being a solid rim protector (oh, and he can finish lobs pretty effectively as well). If you’re looking for an Eastern Conference team to root for in the NBA, look no further than the Atlanta Hawks. Davis becomes the third guy on the Atlanta roster with Santa Cruz Warriors experience, joining Kent Bazemore and Dewayne Dedmon. Last season, the Hawks called up current Golden State two-way guard Damion Lee and Antonius Cleveland (after waiving Quinn Cook at the end of training camp). Atlanta’s GM is Travis Schlenk, a former Golden State assistant GM, so I guess it makes sense. Speaking of the former Atlanta Hawk (and Dallas Maverick), he has really been turning it up from downtown. After hitting multiple 3-pointers in seven of his first 31 games this year, Cleveland has hit at least two 3-pointers in five of his last eight and is coming off a 5-of-7 downtown performance in Monday night’s 113-108 loss to the South Bay Lakers in El Segundo. Cleveland is now up to 36 percent from 3-point range this season and a whopping 53 percent (18 of 34) on corner threes, including 11 of 17 (65 percent) on right corner threes. He is already a pest on the defensive end and has high-level NBA athleticism, so if he can consistently hit in the mid-to-high 30’s from downtown, he isn’t far away from another shot in the Association. After Monday’s loss against South Bay, the Santa Cruz Warriors no longer have the best winning percentage in the G League and no longer control their own destiny for the No. 1 seed in the Western Conference. At 31-16, the Sea Dubs are currently a game back of the 33-16 Rio Grande Valley Vipers, who also hold the tiebreaker over Santa Cruz. If RGV wins its final game of the season, Saturday against a Sioux Falls Skyforce team that has been gutted by call-ups, buyouts and suspensions and has lost 10 straight, the Vipers will have home court throughout the Western Conference playoffs. Santa Cruz is currently tied for second in the West with the 31-16 Oklahoma City Blue (RGV also has the tiebreaker over the Blue). However, Santa Cruz has the tiebreaker with the Blue after winning the Oracle game to take the season series 2-1. Oklahoma City finishes up with Sioux Falls at home, Memphis on the road and Austin at home. A 2-1 record down the stretch would be a safe bet for the Blue, so if the Sea Dubs can take two of its final three games, they’ll be in good shape for the No. 2 seed. The Sea Dubs are also still looking to clinch the division, needing either one more win or one more Stockton Kings loss to wrap up their second division title in franchise history. Stockton wraps up its seasons with games at South Bay on Thursday and at home Saturday against Capital City. 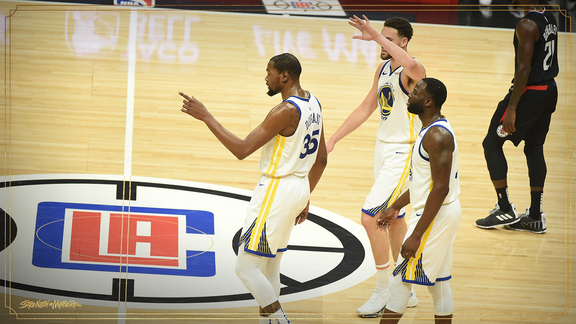 The Sea Dubs roared out of the gates this season, starting 8-0 for the best start in franchise history and tied for second best start in G League history. At the halfway mark, they were 19-6, the best 25-game mark in franchise history. They then won their next three games to get to 22-6. Since then, however, the Sea Dubs have gone just 9-10 in their last 19 games and have lost four of their last six. While Santa Cruz has won its games on the defensive end of the floor, being the only team in the G League with a sub-100 defensive rating, the Sea Dubs have given up more than 110 points in each of its last two games (both losses; granted, the defense got a lot better over the final three quarters of Monday’s loss at South Bay). Offensively, Santa Cruz is just 26th in the 27-team G League in points per game and offensive rating and 25th in 3-point field goal percentage. Here’s to hoping the Sea Dubs can heat up over the final three games of the regular season and carry some momentum into the playoffs. The road slate is over, and Santa Cruz finishes up its seventh regular season with home games on Wednesday, Friday and Saturday. 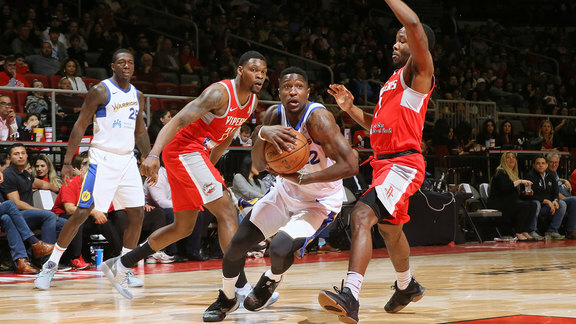 The 24-24 Capital City Go-Go come to town on Wednesday, as the first-year G League franchise needs to win out and have the Grand Rapids Drive lose out (along with one more Greensboro Swarm loss) to make the postseason. Then it’s the Agua Caliente Clippers of Ontario’s turn to hit up Kaiser Permanente Arena for a back-to-back to wrap up the season. The Clippers are 25-22 and a half-game back of the 26-22 Salt Lake City Stars for the sixth and final playoff spot in the Western Conference, so you know the Clippers will be bringing it this week (Agua Caliente also handed Santa Cruz its first loss of the season to stop the streak). Get your tickets by visiting santacruzbasketball.com, or watch the games on NBC Sports Bay Area or NBC Sports Bay Area Plus.